Established in 2009, eXp Realty broke ground as the nation’s first agent-owned cloud-based brokerage. Since then, the company has expanded into 45 states and grown into an army of more than 10,000 agents. 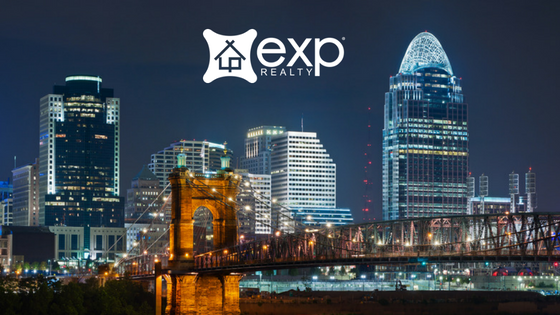 eXp Realty Ohio is a large contributor to the overall success of eXp Realty and has been steadily gaining ground in the state over the last few years. Much of the growth eXp Realty Ohio has experienced can be attributed to the applying cloud-based technology to the traditional brokerage system. This innovation has propelled them into a leadership position in the real estate space. This new format eliminates the high overhead cost of expensive brick and mortar. Aspiring agents can join eXp Realty to benefit from its excellent training and support and easily become successful without being tied to a physical office. Edward Hazner, a broker with eXp Realty Ohio, claims that this is a big advantage for agents as it means fewer expenses and more money left for the bottom line. Agents not only save on high rent for maintaining offices in prime locations but also save on the cost of in-office employees as well. eXp Realty Ohio offers shared office space as well, for agents who prefer to meet their clients outside of their homes. An additional eXp Realty advantage is that agents are only required to pay 20% of commission earned. Even more, the commission is capped once their earnings reach $80,000 annually or once the company receives $16,000 total commission from an individual agent. 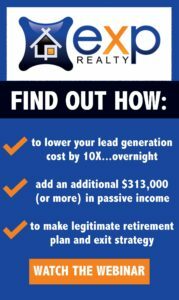 After this threshold is reached, agents are only required to pay $50 each month to remain an eXp Realty agent. This fee covers the technology and support offered by the company. Until as recently as August 2017 eXp Realty had only 12 agents located in Ohio. Today this number has exceeded 170 agents, credit to the hard work, experience, and leadership Hazner as brought to the company. These agents realize they’re on the cutting edge of the future of real estate and are working together to change the face of real estate business in the state of Ohio.